Ancel Romero, president of HumanGood affordable housing, has been named the Grassroots Advocate of the Year by LeadingAge California. The public policy award, which has been given since 1986, recognizes advocates and lawmakers who contribute the most to improving the lives of seniors in California. 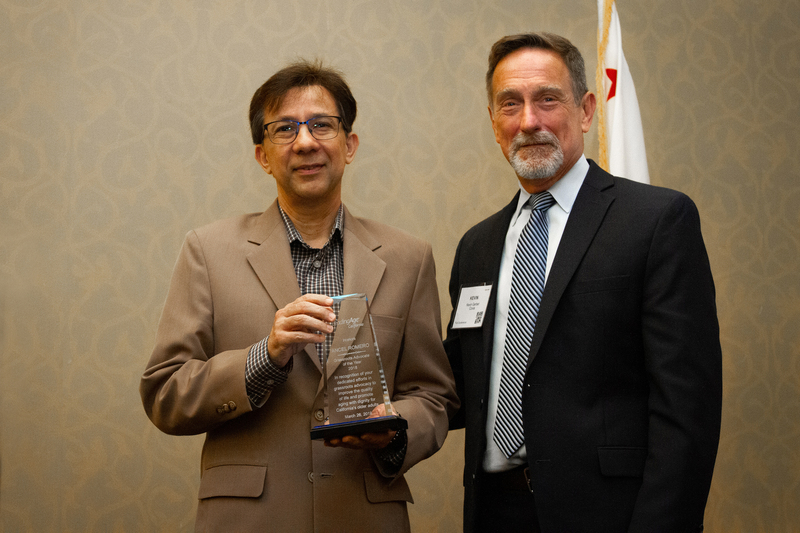 During LeadingAge California’s 2019 RISE Summit on March 26, the leading advocacy organization awarded Romero for his work on educating his team and residents on important public policy developments in California. LeadingAge California also acknowledged Romero’s work as president of affordable housing, overseeing our 59 affordable housing communities located in California and Washington state. He also was involved with advocating on behalf of HumanGood for the expansion of the Assisted Living Waiver Program, which was designed to help Medi-Cal beneficiaries receive home care as an alternative to moving into a long-term care residence.